Inge Tilson (Dora Reisser) is working on an archaeological dig under a Norman church. she picks up a skull and it seems the place is haunted - the organ starts playing, the lights flicker erratically - she shouts for help from Greer (John Moore), who is chipping away with his hammer inside one of their tunnels. He hears a weird dragging and electric buzzing, turns his torch and recoils in horror - seconds later there's a blast of white light, he screams and is dead, his torch a smouldering wreck and his last message a rectangle drawn in the dirt. Tara arrives at Steed, dying to tell him a Vicar joke - he silences her with a glance, his friend The Rev. 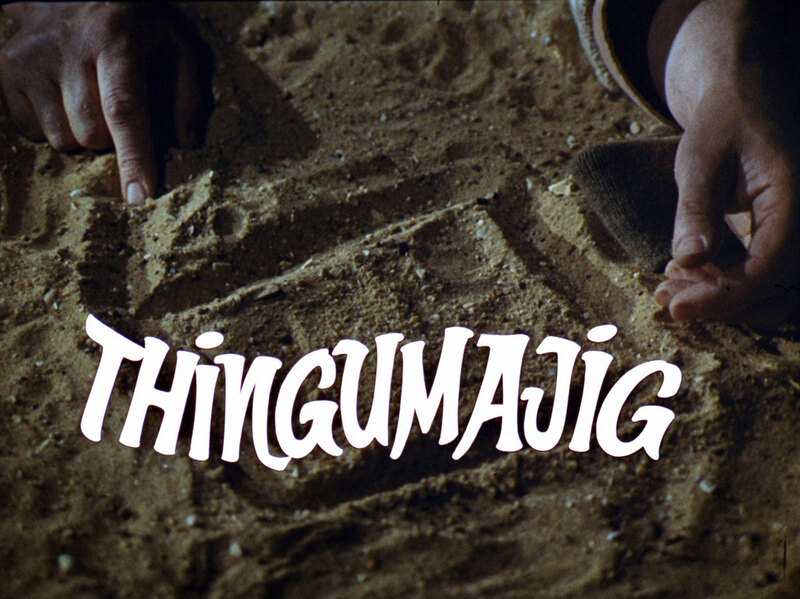 Teddy Shelley (Jeremy Lloyd) is there and he and Steed are off to investigate a strange death under Teddy's church in the dig site. 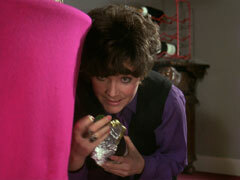 Steed hands her Greer's torch and asks her to contact Professor Truman. Inge is examining a bracelet found in the last tunnel, the metal fused but untarnished. The blustery Major Star (Hugh Manning) arrives and declares Greer wouldn't have died if he'd been in charge, "You don't win medals waiting for the other chap to be heroic", he opines and goes to investigate the tunnel. They find a flat, wide track in the soil then hear a tapping noise. Bill Reston (Harry Shacklock) is working in the next section and suffers the same fate as Greer. Tara meanwhile shows the lamp to Truman (Willoughby Goddard), a wheezing, obese snuff-sniffing electronics expert, who tells her the damage was caused by intense heat, probably from an extreme electrical discharge and takes it back to his lab, sneezing as he goes. Dr. Grant (John Horsley) and Inge want to call off the dig but Major Star says they have a duty, now two are dead, to succeed and find out how and why their colleagues died. Phillips (Michael McKevitt) and Williams (Neville Hughes) agree with Star so Brett (Edward Burnham) has the casting vote - he is in favour of uncovering more Stone Age artifacts. Star organises the dig with military precision and descends with Brett into the tunnel - they're all to work in pairs from now on. Up in the church, the organ bursts into life and the lights go out, to Inge's horror. Teddy and Steed arrive and set off down the tunnels, they're faced with billows of smoke, out of which Brett staggers, insane and mumbling, "Star". Dr. Grant tends to Brett and encourages his to explain what happened, but he's unable to. 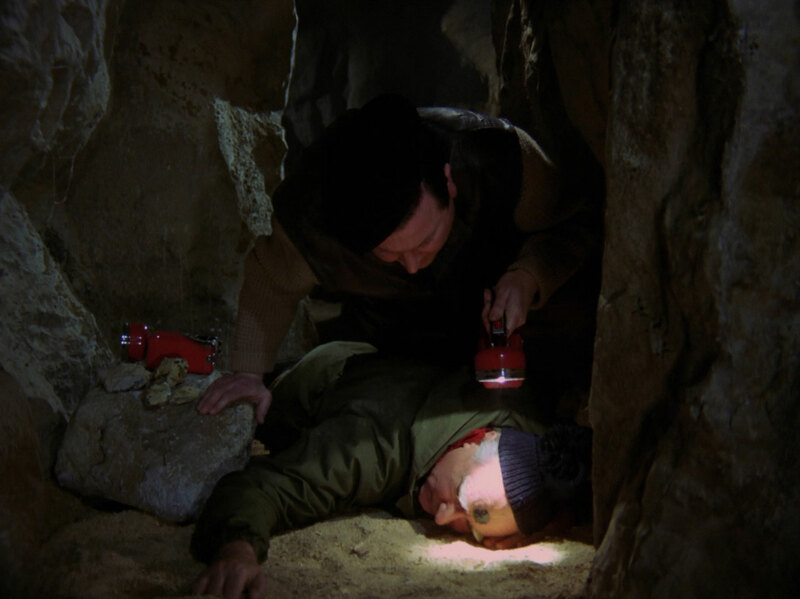 Steed discovers a new fall in the tunnel and leaves Williams and Phillips to clear it while he returns to Teddy with Inge, and Star's lamp. The lamp is undamaged but the battery dead, despite Inge having issued new ones before they descended. Steed rings Tara, who's icing a cake, to say he's sending another lamp to be examined. Steed hopes the activities remain underground, but at that moment, a local fisherman, Pike (Russell Waters), is discovering something gruesome in the Meadow Pond... Steed and Inge return to the church where Star's body has been recovered, a large black burn mark on his forehead. Pike bursts in, breathless, and takes them to see - all the fish are dead. Dr Grant wonders if poachers might have used dynamite but Steed points out the water is clear - and there's a wide track in the mud - Steed asks Grant to get the pond dredged. Truman is baffled by the battery but impressed with Tara's wedding cake - until he sneezes on it and knocks it down. Teddy is surprised by Kruger (Iain Cuthbertson) at the church ("I'm very light on my feet you know") who's interested in the church and their stone age weapons. He waxes lyrical on man's constant search for the best way to kill then pokes about the church. Teddy refuses him access to the tunnels, saying there have been inexplicable accidents in them and Kruger departs. 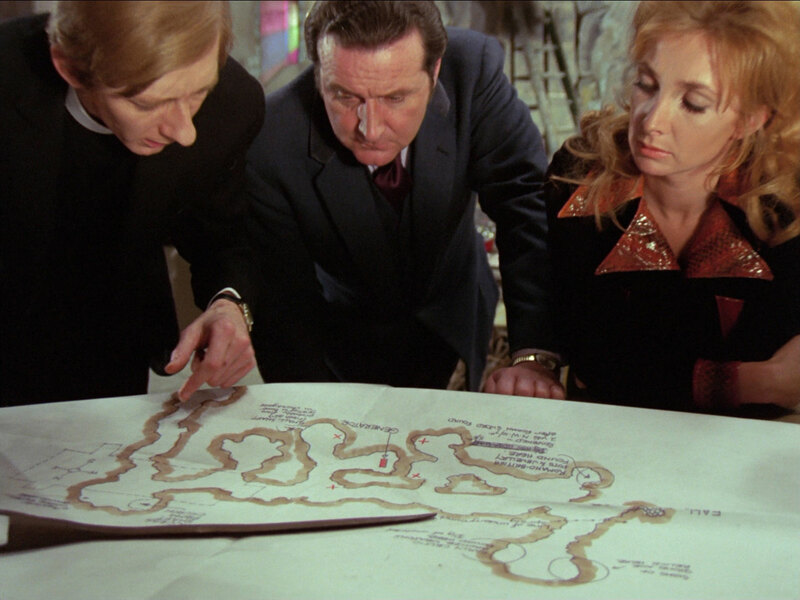 Meanwhile, Steed and Inge find tyre tracks at a disused quarry and a crashed van at the bottom. Kruger goes to a caravan parked nearby and tells the occupant, "It's going to be alright, I know where one of them is". Steed and Inge meanwhile find a box in the van marked "Extreme Danger Do not open" - split open by the crash - inside it is ventilated, with two cubic compartments. The dredging of the pond is continuing, one of the items being an anonymous black box... Steed, Inge and Teddy sort through the debris and fail to notice Kruger peer in the door. He reports back to the caravan owner that "it's in the church". 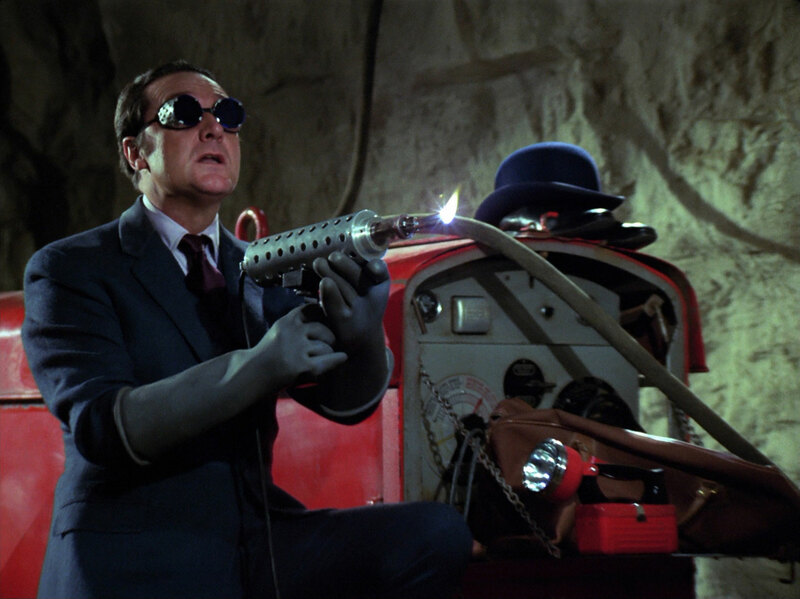 He returns when they leave, dressed in rubber gloves and a protective suit, not realising Steed has reentered the tunnels. Steed hears him and re-emerges as Kruger takes the box. They fight and Kruger escapes, leaving Steed to examine the box. Teddy rushes in, having heard the fight, and they leave to take the box to the railway station to be sent to Tara. The organ starts up in the church and Brett hears it from the vicarage. He rises from his bed, zombie-like and stalks down into the tunnels. A box comes around the corner and he faces it; a flash of bright light and he falls. Tara receives the box, unwraps it and fails to notice it move while she's reading Steed's note. 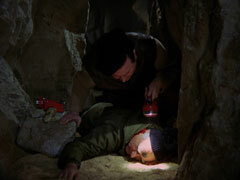 Brett meanwhile has been found and is removed, Grant telling Steed the tunnels must now be sealed. 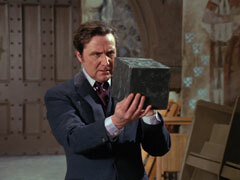 Steed agrees, but disagrees that the box is absolved, Steed suspects there was more than one. Truman arrives at Tara's to examine the box but can make nothing of it, or the x-rays Tara has had made of it. He takes the x-rays to his lab, warning Tara than her brand new lamp has had the insulation stripped from its wire. Steed examines Teddy's map of the tunnels and finds that the generator is in the middle of all the killings. He and Inge agree there's a link but Teddy disagrees, preferring a more metaphysical explanation. Tara meanwhile experiences strange power fluctuations in her flat. In the caravan, Kruger is promising Stenson (Vernon Dobtcheff) he will retrieve the two boxes that night; he gleefully says one of them has already killed. Stenson moans he's been stuck in the mobile refrigerator for two weeks while he's been making promises. Stenson gives him twelve hours to sort it out, or their contract is null and void. Kruger is angry and says he spent a lot of time and money developing the boxes. He opens a curtain, revealing hundreds of boxes, and takes out a pistol. Steed meanwhile makes a 'phone call to arrange that all mains power to the village will be cut at precisely 8 o'clock. Inge returns with supplies - walkie-talkies, gloves, boots and a large arc welder. Truman calls Tara, urging her to get out of her apartment - he's discovered the box's purpose is to destroy. She sees it has gone from where she left it, and it cuts her off when she tries to leave. It blows a few holes in her apartment and sets fire to a cushion trying to kill her. Truman advisers her to run down its power, so she turns off the mains and throws the plugs of several appliances at the magnetic killer - to no effect. Truman advocates water as the only option so she sprays it with the contents of a couple of bottles of champagne, swigging the last of it. 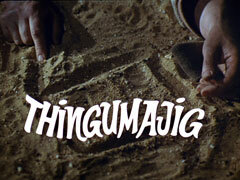 She rings Steed to warn him what he's up against, but Kruger has taken over and disconnects the phone. Inge and Teddy are trussed up, unable to stop him descending to take care of Steed. Tara meanwhile rushes through the night, desperate to reach the church. Steed radios to say he's at the generator, which makes Kruger smile, not even the cutting of the power concerns him. 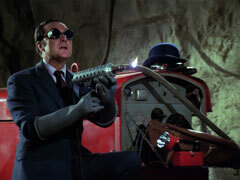 Steed lights his welder and is greeted by a shot from Kruger. He recognises Kruger and asks about his Establishment work on the projection of electric power through space (sound familiar?). Kruger tells him his theory works, an electric animal with the will to kill. He's impressed with Steed trying to lure the box with the generator, then deduces he's unarmed and advances. Steed blinds him with a flash of the welder and attacks him. Kruger gains the upper hand but when he stoops to conquer, the box appears and kills him, his shots at it having no effect. Steed dons Kruger's protective helmet and attacks the box with his welder, the box finally bursting into sparks and flames. Tara arrives at the church and frees the prisoners, Steed answering her when she asks after him. He presents the 'overheated' box to them and Tara startles them all by playing a tune on the organ. 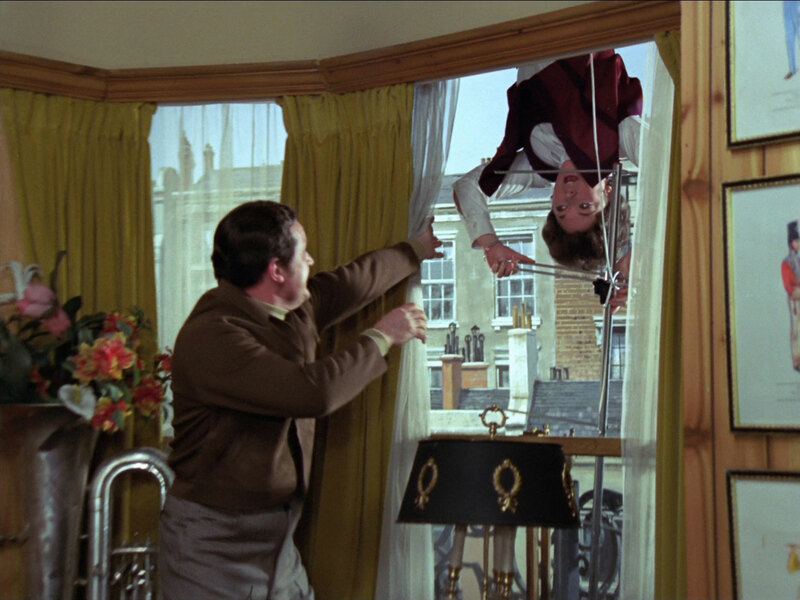 Back at Steed's place, he's having trouble with another box - Tara's on the roof, trying to adjust his television aerial and they get the perfect picture only when she's hanging upside down outside his window.